The Gustavus women’s basketball team is sponsoring a Pink Zone event on Saturday for the Gusties home game against St. Thomas. Coach Mickey Haller and her squad will be asking fans to donate to the Kay Yow Fund to fight breast cancer sponsored by the Women’s Basketball Coaches Association (WBCA). The Gustavus Student Athlete Advisory Board will be collecting non-perishable food and cash donations at the entrance to all Gustie athletics events this weekend to support the local St. Peter Food Shelf. Gustavus women's hockey will play at home on Friday night, followed by men's and women's basketball on Saturday afternoon and men's hockey on Saturday night. The Gustavus Adolphus women’s basketball team suffered a nail-biting 75-72 defeat at the hands of Concordia on Saturday afternoon in St. Peter, Minn. With the win, Concordia improves to 4-0 overall and 2-0 in the MIAC, while Gustavus falls to 2-3 overall and 1- in the MIAC. The Gustavus women's basketball team stayed close to Division II Augustana College in the first half on Saturday afternoon, but the depth and strength of the Vikings squad wore the Gusties down in the second half allowing Augustana to pull away for a 93-57 win in Sioux Falls, S.D. 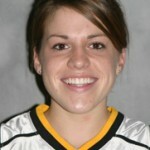 Abby Rothenbuehler led Gustavus in scoring with 12 points. The Gustavus women's basketball team was named to the Academic Top 25 Team Honor Roll by the Women's Basketball Coaches Association (WBCA) on Tuesday, July 20. The Gusties ranked 11th out of 424 NCAA Division III women's basketball teams with a 3.494 team grade point average (GPA). Gustavus Adolphus women’s basketball players Bri Radtke, Molly Geske, and Molly Mathiowetz have been named All-Minnesota Intercollegiate Athletic Conference by a vote of the league’s coaches with Radtke being named the league’s Player of the Year. St. Thomas guard Jordyn Sears hit two free throws with 09 seconds left to give the Tommies a 63-60 lead and senior guard Bri Radtke's three-point shot at the buzzer bounced off the rim knocking the regular season champion Gusties out of tournament and putting their NCAA Tournament hopes in jeopardy. The Gusties and Tommies battled for 40 minutes at a level that was befitting a post-season tournament contest with everything at stake. In the end, St. Thomas was able to make the clutch shots in the final moments and Gustavus was not. With the loss the Gusties fall to 20-6, while St. Thomas improves to 20-7. The Gustavus Adolphus women’s basketball team finished the 2009-10 regular season with a share of the MIAC Crown, and now is set to compete in the MIAC Playoffs beginning with quarterfinals on Monday night. The Gusties, who finished the season 20-5 overall and 18-4 in the MIAC, are the number two seed entering the post season, giving them an opening round bye. Gustavus will host #5 St. Thomas at Gus Young Court Wednesday, Feb. 24th at 7:30pm in a MIAC Playoff Semifinal game. The Gustavus women's basketball team came up just short in its bid to claim the program's first ever outirght league falling to St. Ben's 67-65 in St. Joseph on Saturday afternoon. The Blazer's hit two free throws with 06 seconds left to claim the thrilling victory. Molly Geske led all scorers with 23 points.